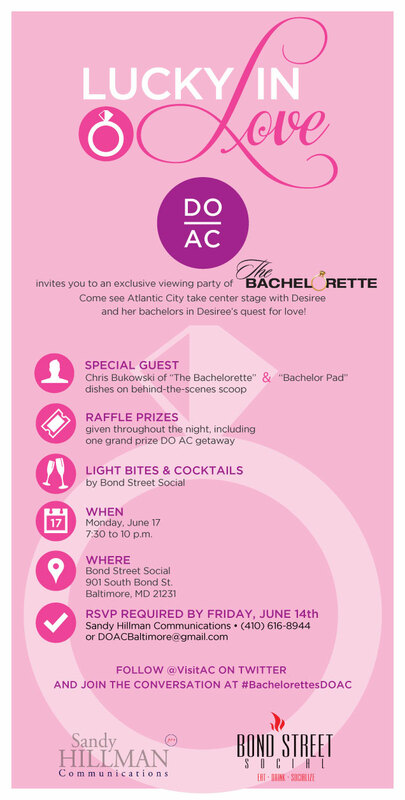 Fan of “The Bachelorette” and Bond Street Social? This event is for you! – RLB Ink. Fan of “The Bachelorette” and Bond Street Social? This event is for you! On Monday, Bond Street Social will play host to former contestant, Chris Bukowski (Emily’s season) during a live screening of “The Bachelorette.” There is no cover and there will be light apps and two drinks at no cost. Be sure to RSVP! I’ll be there and hope to see you there, too.